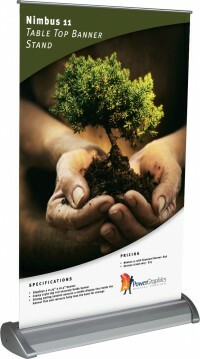 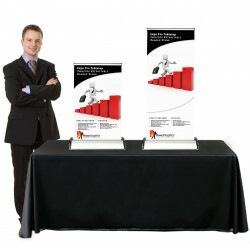 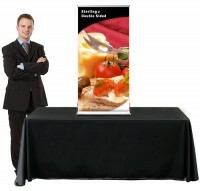 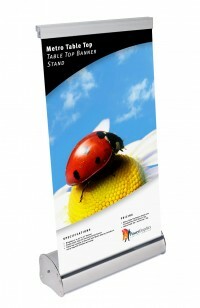 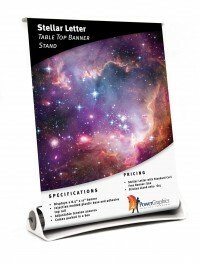 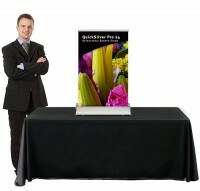 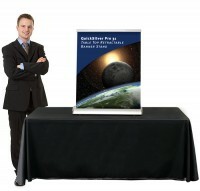 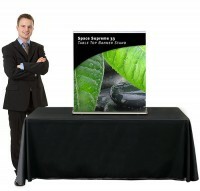 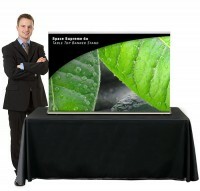 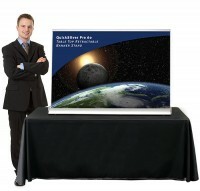 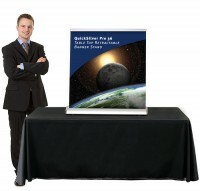 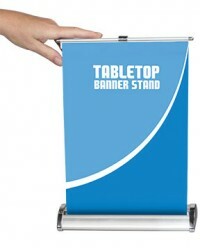 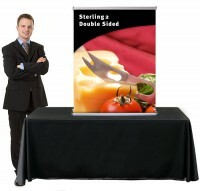 The table top banner stands make great trade show displays. 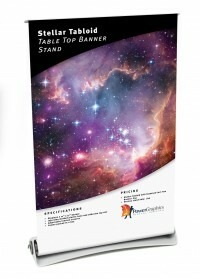 They can be used with any size booth space because every set up has a table or counter that can benefit from putting information or branding directly in front of customers. 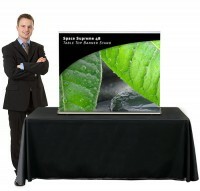 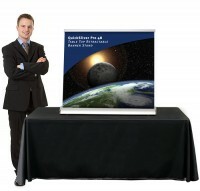 Because they are viewed up close, they can be used to present more detailed information than a full size display that is often viewed from a greater distance. 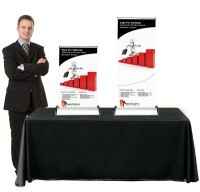 This makes them an excellent add on display that is inexpensive and, in most cases, has graphics that can be easily updated as needed. 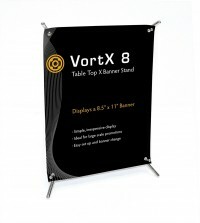 Some of the models in this category are full size banner stands that have adjustable height so that they can be used on a table top, while others are specifically designed for use only as table top displays. 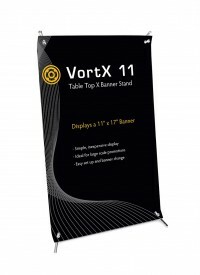 Browser through our selection of table top banner stands and feel free to contact us with any questions or for help in choosing a model for your needs.